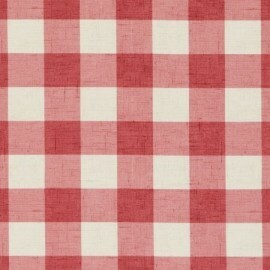 Fall for this Pop Art Mouth polycotton fabric with pretty red mouth patterns on a natural background and create pouches, cushions, curtains and accessories. 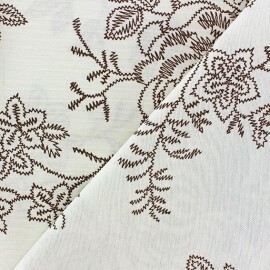 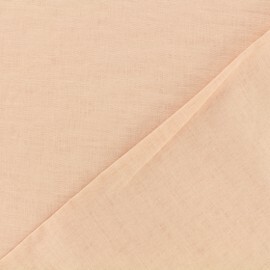 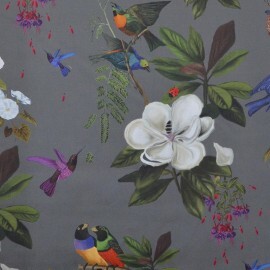 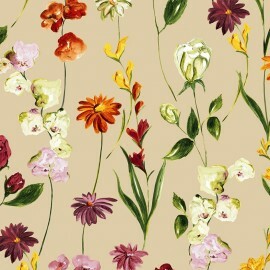 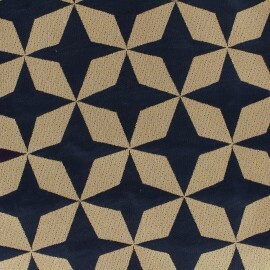 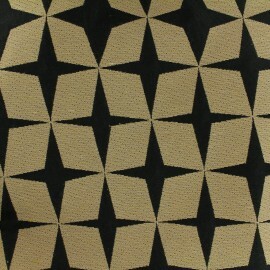 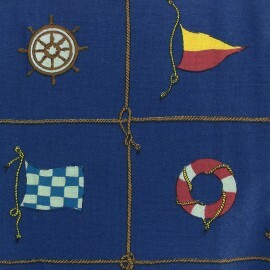 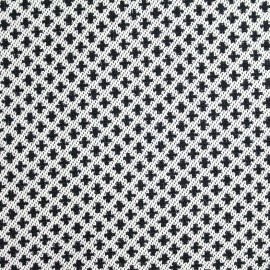 This fabric can also be suitable for shirts, dresses and skirts. 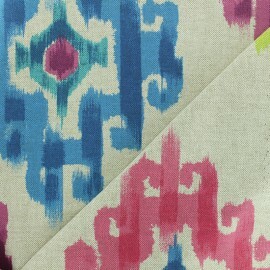 Adopt this colorful and original, Pop Art style fabric to be at the top of the trend! 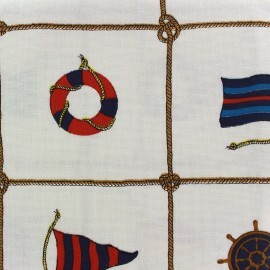 Fall for this Boobies with love polycotton fabric with breasts and small red hearts patterns on a white background and create pouches, cushions and accessories. 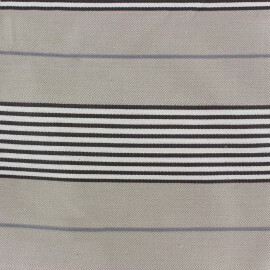 This fabric can also be suitable for shirts, dresses and skirts. 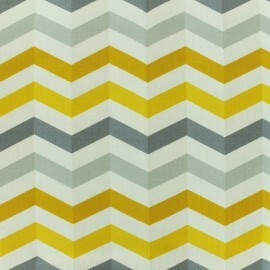 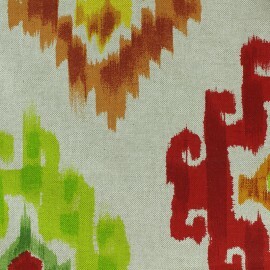 Adopt this colorful and original fabric to be at the top of the trend! 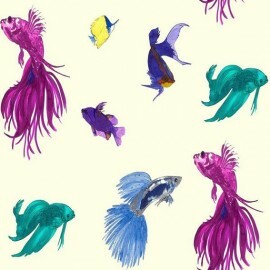 For decoration or fashion, dare to use the boobies prints! 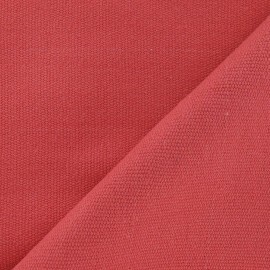 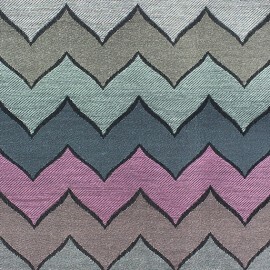 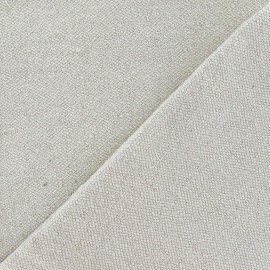 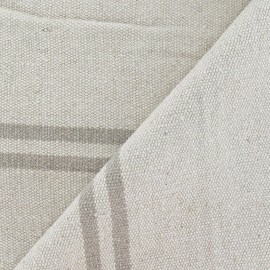 Very nice 100% cotton fabric special for your creations of furnishing with its width of 280 cm (curtains, cushions ..)! 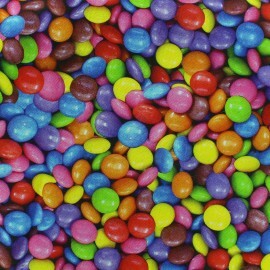 An adorable cotton canvas with childish patterns of delicious smarties. 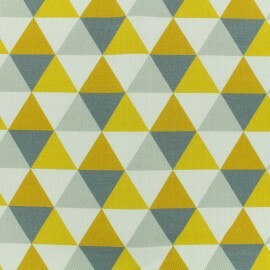 Bring a touch of cheerfulness for adults or children, clothes, furnishings or accessories with this adorable cotton fabric. 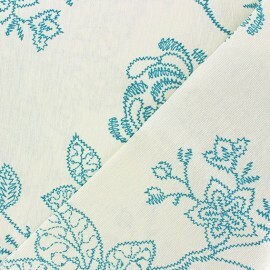 Very nice 100% cotton fabric special for your creations of furnishing with its width of 280 cm (curtains, cushions ..)! 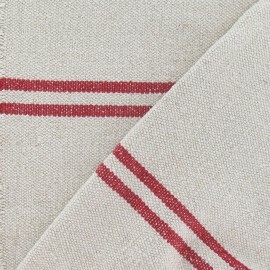 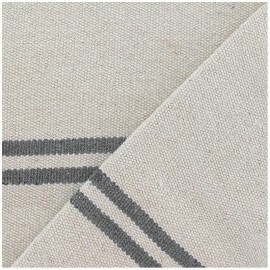 A trendy cotton canvas with a scandinavian style. 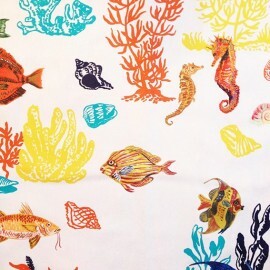 Bring a touch of cheerfulness for adults or children, clothes, furnishings or accessories with this adorable cotton fabric. 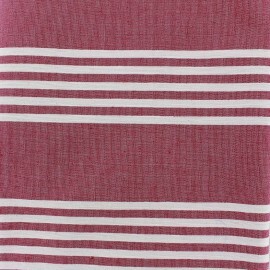 Very nice 100% cotton fabric special for your creations of furnishing with its width of 280 cm (curtains, cushions ..)! 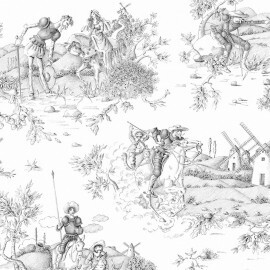 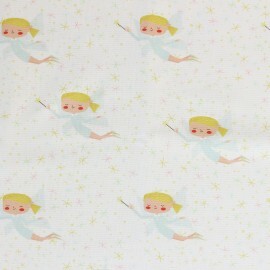 An adorable cotton canvas with childish patterns of beautiful fairies. 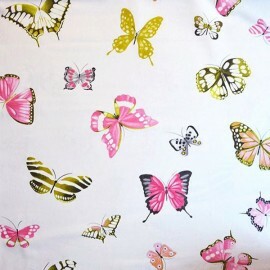 Bring a touch of cheerfulness for adults or children, clothes, furnishings or accessories with this adorable cotton fabric. 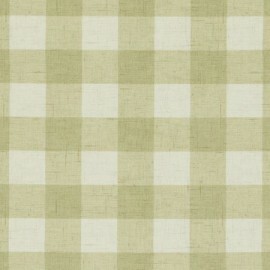 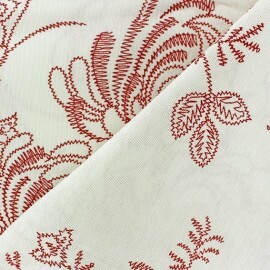 Very nice 100% cotton fabric special for your creations of furnishing with its width of 280 cm (curtains, cushions ..)! 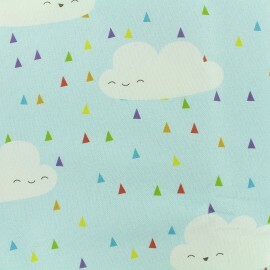 An adorable cotton canvas with childish patterns of smiling little clouds. 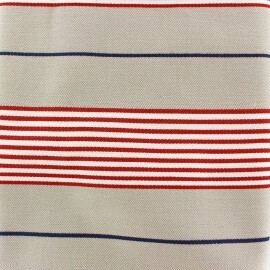 Bring a touch of cheerfulness for adults or children, clothes, furnishings or accessories with this adorable cotton fabric. 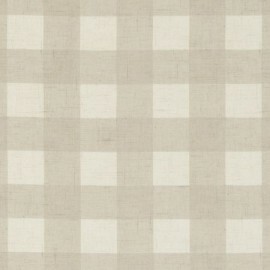 Very nice 100% cotton fabric special for your creations of furnishing with its width of 280 cm (curtains, cushions ..)! 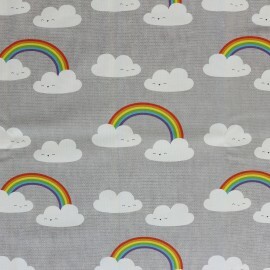 An adorable cotton canvas with childish patterns of smiling little clouds and beautiful rainbows. 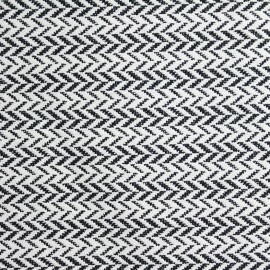 Bring a touch of cheerfulness for adults or children, clothes, furnishings or accessories with this adorable cotton fabric.